NTRO Recruitment 2018 has released a notification for the Scientist 'C', 'D', 'E' Post. 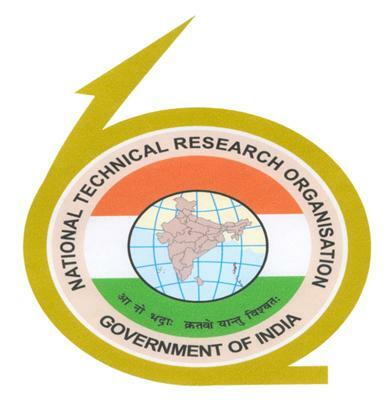 NTRO Recruitment 2018 invites offline application. Candidates who are interested to apply for the NTRO Recruitment 2018 send the application through proper channel to the following address. Job Seekers utilize this great opportunity and make your long days dream true. Candidates who are eligible to apply for the NTRO Recruitment 2018, apply before the last date. We provide the details like Name of the post, Educational qualification, Age Limit, Pay Scale, Application Fee, Selection Process, Steps to apply, Important Dates, Important Links,etc., The last date to apply for the NTRO Recruitment 2018 is within 30 days of the publication of the employment news. Candidates should be completed Ph.D Degree(Physics / Electronics / Mathematics) / Master Degree(Engineering / Technology(Electronics / Electronics and Communication / Computer Science / Information Technology / Electrical / Electrical & Electronics / Communication / Communication & Signal Processing / Electronics & Instrumentation) in a recognized university are eligible to apply for the National Technical Research Organisation Recruitment 2018. Candidates should be completed first class bachelor degree(Engineering / Technology) in Electronics / Electronics and Communication / Electronics & Telecommunication / Computer Science / Information Technology / Electrical / Electrical & Electronics / Communication / Communication & Signal Processing / Electronics & Instrumentation in a recognized university are eligible to apply for the National Technical Research Organisation Recruitment 2018. Candidates should be completed First class master degree(Engineering / Technology) in Electronics / Electronics & Communication / Electronics & Telecommunication / Computer Science / Information Technology / Electrical / Electrical & Electronics / Communication / Communication & Signal Processing / Electronics and Instrumentation in a recognized university are eligible to apply for the National Technical Research Organisation Recruitment 2018. The last date to apply for the National Technical Research Organisation Recruitment 2018 is within 30 days of the publication of the employment news.